I’m sure many Kindle owners have encountered this problem in daily life: reading a book on a Kindle device, adding lots of bookmarks and notes. But when we want to switch to a different Kindle device, or to read on the Kindle APP on iOS/Android, do we have to abandon the highlights and notes, and start all over again? Some people like to share a Kindle account with their friends, but there is an awkward problem: on the same e-book, your notes will be mixed or even directly overwritten by your friends. Actually, the problem is that most people don’t understand a hidden feature of the Kindle. This feature is called “Whispersync”. What is this function for? Below is the detailed answer. 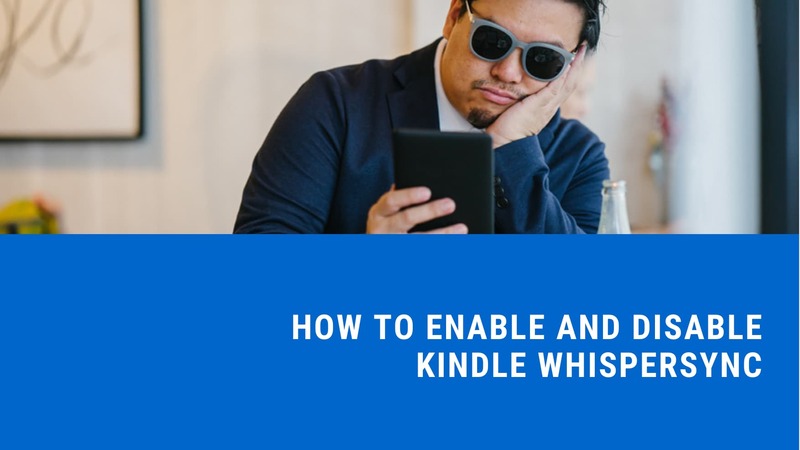 With Whispersync, our book data can be synchronized across devices, including iPads, iPhones, and other types of Kindle apps. The book data includes your notes, highlights, bookmarks, and reading progress on an e-book. The Whispersync feature keeps your book data permanently in the Amazon cloud. You can delete your ebook on the Kindle local (“Downloaded” tab on Kindle) and download it in the cloud (“All” tab on Kindle). Even if you reset your Kindle device to empty, you can also download e-books from the cloud, while all the reading data will also be synced. 1. Transfer the ebook via email or buy it from Amazon instead of using a USB cable to copy it to the Kindle. 2. Make sure “Whispersync” is enabled on both Amazon and Kindle. Log in the Amazon (amazon.com) and go to [Your Account] — [Your Content and Devices] — [Settings] — [Whispersync]. On the Kindle device, press [Settings] — [Device Options] — [Advanced Options] — [Whispersync for Books] to make sure the feature is enabled. If you are using Kindle app, not a Kindle eReader, go to the [Settings] — [Other Options] — [Whispersync for Books], also make sure the feature is enabled. You can also disable the function to avoid the embarrassment of sharing a Kindle account. To disable the feature is simple, just follow the steps above and switch off the function.